GW980 equivalent to VULCAN TYPE98. O-ring mounted, unbalanced, parallel spring seals, O-ring mounted stationary seat and grub screwed drive collar. The mechanical seals with a wide choice of elastomers and face materials. Suitable for a large variety of general duties and arduous duty . The mechanical seals are multi-springs and balanced, and are driven by shifting fork, so that they are good at resisting blocking. Customer can choose kinds of materials and seal face combination, in order to meet different working conditions. 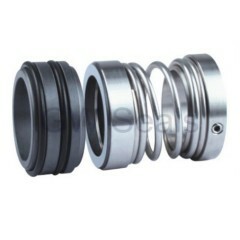 The mechanical seal has good corrosion resistance. And the seal performance is stable and reliable. We are a professional manufacturer producing various types of sealing parts. We can do stamping, processing, mold making, machining, spark-erosion wire cutting, clod rolling forming, CNC punching, laser cutting, and sheet metal manufacturing and welding. 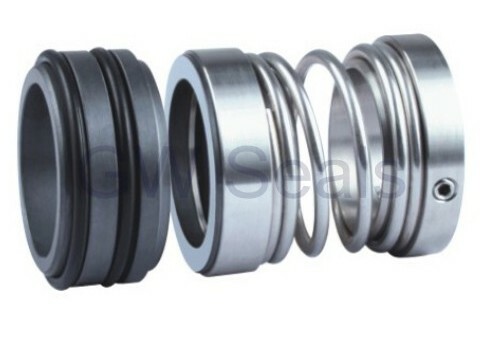 Our sealing elements include pump seals, chemical pump seals, double-end machinery seals, automotive pump seals, and automotive air conditioning compressor seals. 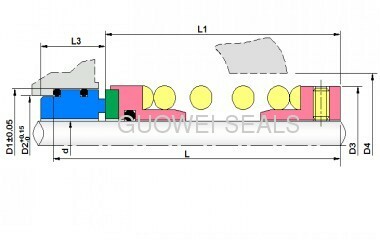 We also can offer different kinds of non-standard seals to meet customers' needs. Meanwhile, we have rich experience in various types of stamping and sheet metal parts and mold making.